I allow republishing of articles in their entirety from this blog to your site as long as a link back to MelNewton.com is provided and you contact me prior to publication. If you are interested in republishing a post and need updated content (typically at least 20% new content), I would be happy to provide a revised version of the post for your use. I can also create new, unpublished content for your online or print media. I do perform pro-bono work, however pro-bono projects are a lower priority than paid or sponsored projects. I consider affiliate and advertising opportunities carefully. 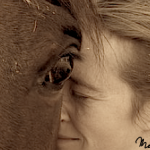 Partnerships must be relevant to veterinary medicine, equine endurance, or ultra-running and provide value to my readers. Please let me know what you have in mind. Please note this is not a complete list of all my publications. Interested in learning more about Tess my underbaked Brittany dog? Visit her blog! The John Newbery Medal is named for John Newbery, an 18th century English publisher of juvenile books. Since 1922 the award has been given to the author of the most distinguished contribution to American literature for children. Carolyn and Mel discuss Newbery books on this blog, in a thoughtful and honest way. A collection of my favorite recipes. Did you know that Dr. Mel Newton is Orvetta Black?